I need to sell my restaurant, what are the steps involved? There comes a time when a restaurant owner (or any business owner) may need to sell their business. There are several different aspects to the sale of a business, and many steps that need to be taken. You should perform some due diligence on your own company, hire the appropriate professionals to assist you, and make sure the different parts of the transaction are all coordinated. First, you should perform due diligence on your own company. Any potential buyer will be doing research on your company to make sure there are no red flags, so it is important that you know about them from the beginning. 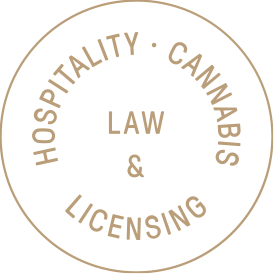 For a restaurant, this can include checking all of your licenses and permits, including your liquor license, to make sure that they are all active and in good standing. You should also make sure that you are not in default of your lease, since you will most likely need the landlord’s consent to a sale. Also, you should see if you have any outstanding debts and liabilities (including tax debts). If you do not determine this information at the outset, the entire process can be delayed and becomes much more difficult. Next, you should hire the appropriate professionals to assist you. The most common types of professionals in these transactions are brokers and attorneys. In most restaurant sales, a broker is involved in connecting the seller with an appropriate buyer. An attorney should also be engaged, as there are several legal documents involved in the sale of a company, including the assignment of the lease, the transfer of any licenses, and the contract for the sale of the business itself. When choosing such professionals, it is important to find those who have experience in selling businesses, and in selling restaurants specifically. Since there are several moving pieces to the sale of a restaurant, it can take a while to make sure everything is properly lined up for a closing. Having experienced professionals on your side can make the process much easier to handle. If you have any questions about selling your small business or restaurant, you should contact a small business and restaurant attorney. We are very familiar with these transactions, and are always happy to discuss such issues.